Kīkīaola (“sprouting springs of Ola”) is a ditch that was built prehistorically to irrigate the taro patches in lower Waimea Valley. Legends and chants tell of Ola, King of Waimea, who, through Pi, his kahuna (priest), ordered Menehune to build a watercourse here; each brought a stone, and the ditch was finished in a single night. The ditch runs for a length of 7,000-feet. It is estimated that 75-acres of farmland below the tunnel and 35-40-acres above the tunnel can be irrigated by the ditch. In places, the ditch is over 20-feet high. There is only a 100-foot length of intact ditch wall visible which is located just above (north) the tunnel. The road construction built up a roadbed of dirt on the riverside of the ditch wall that left only the upper 2-feet of the ditch wall exposed. This remnant is marked by a bronze plaque that was set into the pali face in 1928 by the Territory of Hawaiʻi to mark the historical significance of the site. The dirt bermed ditch contiguous with the walled portion appears to be an intact portion of the original ditch but lacks the exposed stonework. Kīkīaola represents a prehistoric irrigation feature (aqueduct) used to transport water to the taro fields on the western side of Waimea River in lower Waimea Valley. The water was being used to irrigate cultivated lands located considerably above the level of the river. Kīkīaola is the only example of jointed stonework and offers a unique example of this type of causeway construction. Additionally, there are three types of joints represented, including double joint, square joint and notched joint. 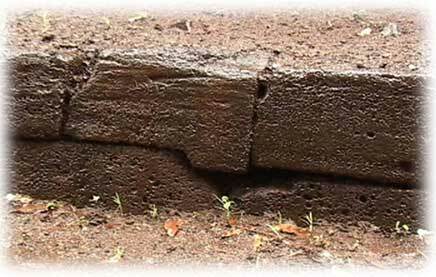 The presence of the dressed stone in the Menehune ditch is unique for Hawaii and for Polynesia. There is, to be sure, other dressed stonework, but none used for aqueducts, and none with the joints in the blocks. The extent of this one undertaking is unusual for the Hawaiian Islands where dressed stonework is rare. In most other structures slabs are used instead of blocks. Likewise, top stones of the wall in sections were removed by valley residents for personal use, by the construction crew to build up the retaining wall for the road and other stones were used to construct the realignment of the ditch. The image shows a portion of the remaining portion of Kīkīaola (Menehune Ditch.) In addition, I have added other images in a folder of like name in the Photos section on my Facebook page.